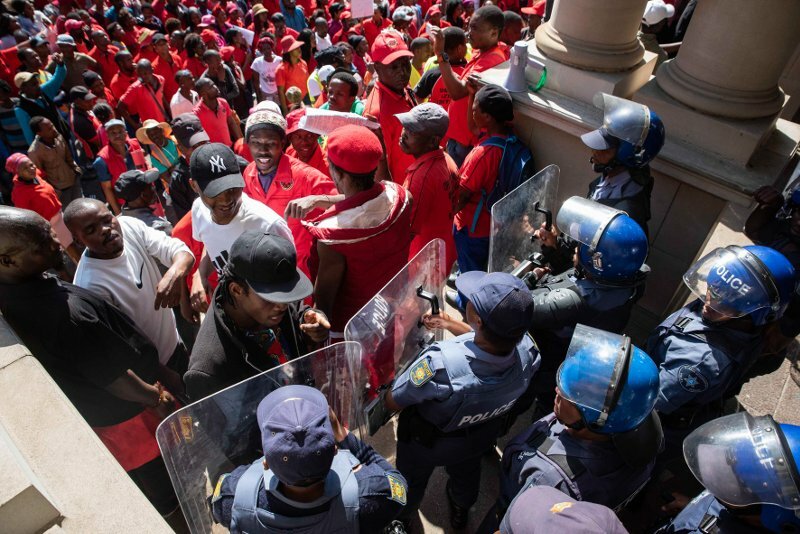 A number of foreign nationals were attacked in Johannesburg, South Africa last month as part of a wave of anti-immigrant violence and sentiment in the country. This xenophobic violence has once again reminded us of the politics of citizenship and what it means to belong and not to belong in the post-colony. Of course, this is not the first time we have witnessed violent attacks on immigrants in the country. In 2008, over 50 people were killed and thousands more were displaced as a result of the violent attacks that were supposedly meant to drive out foreign nationals in the country, particularly in the townships. The cause for the anti-immigrant stance back then was said to be the battle over employment opportunities in the country. Some people went as far as to say that the ‘foreign’ nationals were stealing not just jobs meant for the ‘locals,’ but also ‘our’ women. The recent attacks, however, are said to have been sparked by the noise over ‘foreigners’ selling expired and fake food in the townships. This is a classic case of an old wine in a new bottle. The issue at hand is not the fictitious idea of fake food, just like it was not strictly about jobs in 2008. The issue, as was the case years ago, is the lens through which we recognize and not recognize each other’s humanity. These lenses are the same ones which distinguish between who is human and who is not. It goes without saying that they are fundamentally borrowed from, and are part of, colonialism. This is why there is an uproar over ‘foreigners’ selling expired food while there is silence when big retailers like Checkers are accused of doing the same thing. While the argument that maintains that xenophobic attacks are mainly caused by the economic mess facing the country is valid and necessary, it is not sufficient to help us understand the xenophobic nature of the country and alone does not help us deal with all the issues at play. To be clear, there is no doubt that the country is indeed in an economic crisis and the bottom social classes are all battling over the few opportunities such as low-paying jobs and working as street vendors. . That said, however, we need not narrowly reduce everything to the economic factor. Scholars such as Political Science Professor Mahmood Mamdani caution against reducing all the political realities in the post colony to materialism and the economic question. This is due to the fact that colonialism, just like the current Westernized capitalism, is not solely an economic enterprise based on exploitation and profits. Both of these encompass a wider super structure that affects not only the economy, but also the social structure, culture, epistemology, and, of course, the definition of who is human and who is not. Under colonialism, the distinction between who is and who is not human was simple and straight forward. The black ones from the supposedly dark continent, the natives, were sub-humans. Their subhumaness was invented and maintained through an epistemic systematic structure. The colonial systemic machinery also ensured that certain people, the humans, are global citizens and can literally go anywhere in the world without being systematically made to feel less of a human. Therefore, we can have Afro-Americans and Native Americans in the United States of America, without ever having European Americans, nor do we have European Africans. The creation of a world citizen, however, went with the invention of a native who was made to belong only to a particular location with fixed norms and culture. The global citizen’s humanity is continuously affirmed, while that of the native is continuously questioned. The native was created to be backward, barbaric, and thoughtless. It was not enough for colonialism to invent the native since it also, as Mamdani, in his When Victims Become Killers: Colonialism, Nativism, and the Genocide in Rwanda, argues, politicized “indigeneity in the first place: first negatively, as a settler libel of the native; but then positively, as a native response, as a self-assertion. The dialectic of the settler and the native did not end with colonialism and political independence.” What we saw with the end of colonialism was the continuation of the politicization that Mamdani talks about. The post-colonial state, rather than inventing liberating identities, perpetuated the colonial identities together with the political baggage that went with them. The affirmation of the native in the post colony, alas, also went with the demonization of others, never the global citizen of course, who were said not to belong to the local. The politicization of the native has continued to be informed by what Mamdani calls the “logic of colonialism,” in the sense that the natives are often described in the post colony as the ones who were in the land when the colonialist invented the national borders. Hence the natives in the post colony are the natives that were constructed and defined as such by colonialism. What we need to do now and what should have happened with the demise of colonialism is decolonize, ideologically and practically, the colonial notion of citizenship. This includes, but is not limited to, transcending the colonial manufactured political identities that we have inherited from colonialism and follow in Fanonian humanism. This is the humanism that we have seen from movements such as the shack dwellers movement Abahlali baseMjondolo that affirms that a human is a human and, consequently, cannot be illegal. This article was first published by Towards Freedom. In the new society that is being built there are only Algerians. From the outset, therefore, every individual living in Algeria is an Algerian.